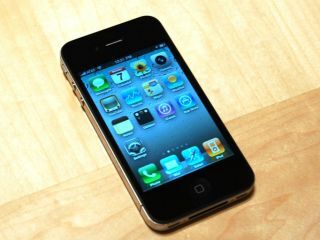 A Chinese newspaper is reporting that the iPhone 5 will indeed offer a larger 4-inch screen and could yet include a NFC chip. The paper also says the rumour about the scratch-resistant metal casing for the iPhone 5, which will supposedly do away with reception issues that have plagued the iPhone 4, is for real. China Times is also adamant that full production on the new iPhone won't kick in until the third quarter of the year – that's July onwards, which suggests that initial stock after the anticipated summer launch will be limited. The paper has brought NFC back into the iPhone 5 mix after the Independent reported that Apple is holding back on contactless payments until an industry standard is established. Rumblings that we'll see a larger screen on the new iPhone 5 have been rumbling for some time, with both 3.7-inch and 4-inchers having been mooted already. Reports of delays to stock are also nothing new; an analyst has claimed that the launch of the new iPhone will be pushed back to September, which would seem to fit with China Times' information. However, it's all speculation until Apple breaks its silence – or until Gizmodo finds another prototype iPhone in a bar.